Taste and live the best of Cafayate in an experience that merges history, culture, and flavor with a spark of adrenaline. Cafayate unquestionably is one of the Northwest’s top destinations. Known for its world-class wines and its spectacular geography, this place is an invitation to travelers from all over the world. 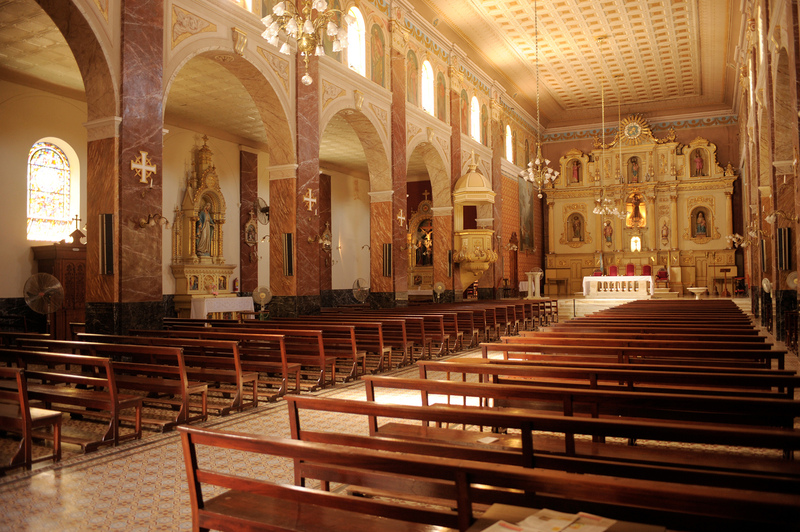 However, there is more to Cafayate than just wines and landscapes. 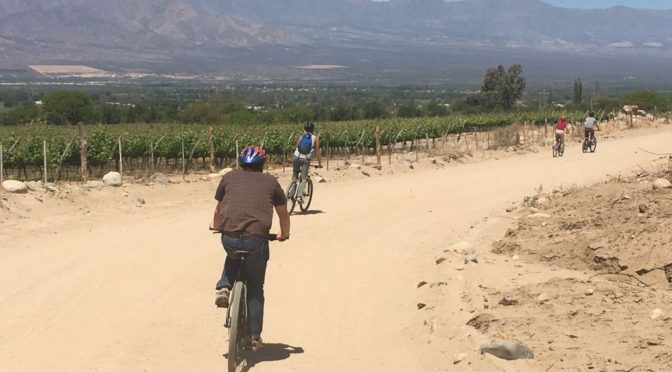 Adventure also finds its place in the land of sun and wine, and we would like to invite you to discover it with this thrilling activity that combines a degustation experience with a mountain bike downhill. Our adventure begins with a hotel pick-up in Cafayate, and drive up to Finca Domingo Molina, a family winery exclusively dedicated to the production of premium wines. With a privileged terroir that allows excellent grape growing conditions, the wines obtained from those grapes display intense aromas and flavors. 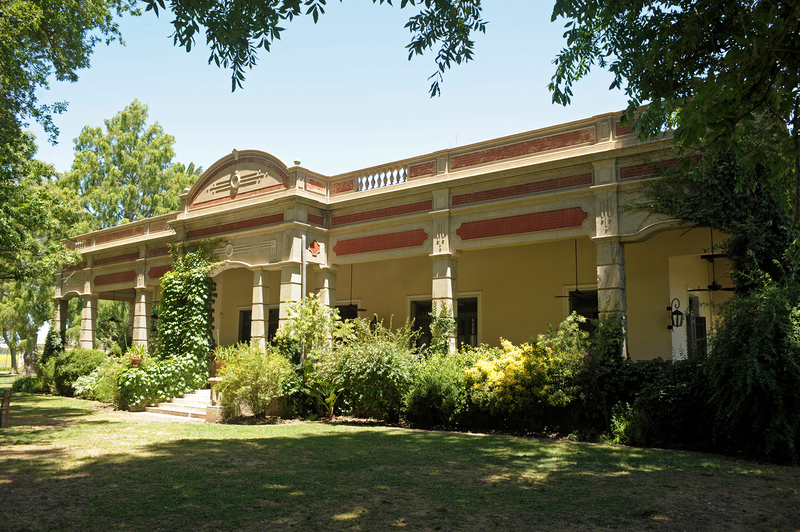 At this cellar located in North Yacochuya, we will enjoy a degustation of the finest Domingo Molina’s wines, which include varieties such as Torrontés, Malbec, Cabernet Sauvignon, and Tannat. After the visit and degustation and before getting too comfortable, we will prepare to start our downhill descent. While we get ready and settle up the bikes and equipment, the guide will instruct us in regard to safety precautions, posture, and use of the bikes. He will also give us historical and geographical details of the area. Once ready to pedal, we will start this enchanting descent through North Yacochuyas’ road. Along the road, we will pass by the iconic vineyards of Cafayate while contemplating a mind-blowing scenery. We will see how the green grape leafs merge with the hills in the horizon as we feel the wind in our faces. And since the road is easy, we will be able to enjoy this magnificent scenery to the fullest. As we move forward, we will take small pauses to hydrate and ask any questions we might have concerning the surroundings. During the descent, we will capture the magical spirit of the Valley and its peculiar geography. Finally, we will reach our destination: Cafayate’s central square, where this adventure finishes. 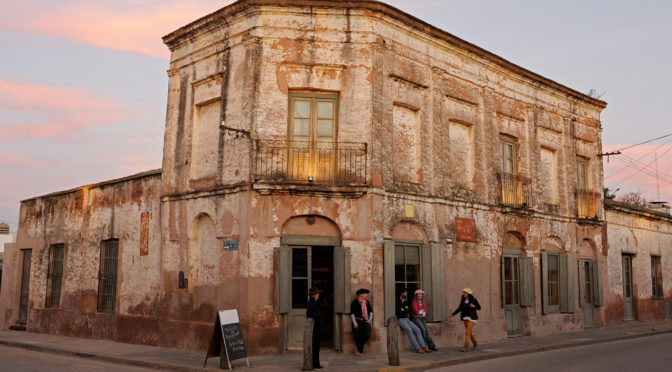 At Cafayate town, you can wander its streets and enjoy the rest of the afternoon in this charming town. 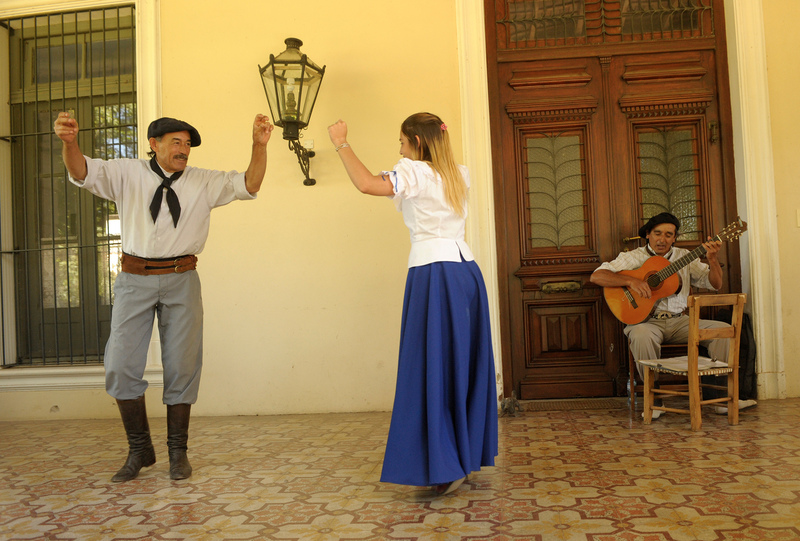 This is an incredible experience and it is ideal if you are planning to stay in Cafayate for a short period. If you wish more information on this experience, please do not hesitate to contact us at Kallpa Tour Operator. Transfer in from Cafayate to Domingo Molina. 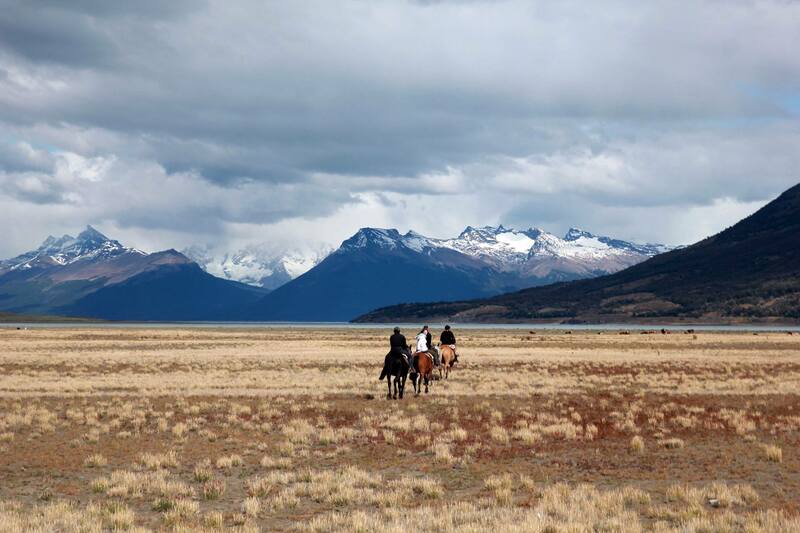 Get closer to nature and live a rustic countryside riding experience at a traditional Patagonian estancia looking over the Lago Argentino. 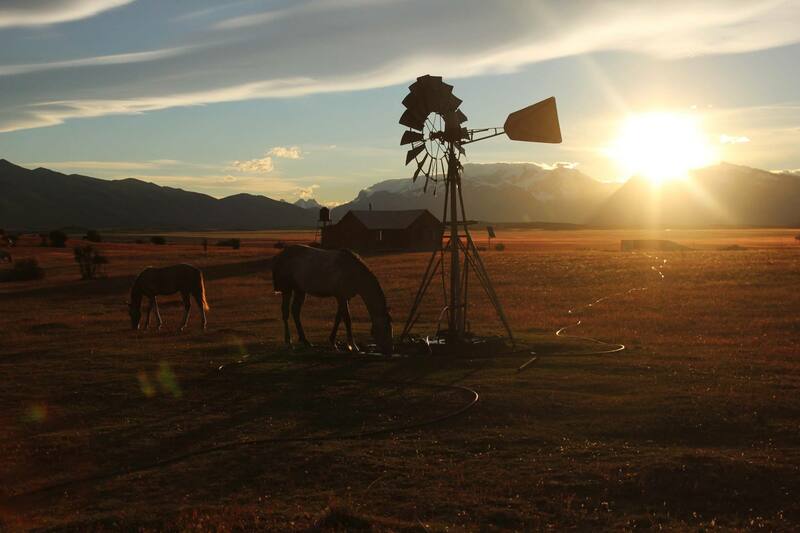 Estancia Río Mitre is a working family ranch and farm located 40 minutes from El Calafate and only 30 km from the Perito Moreno Glacier. 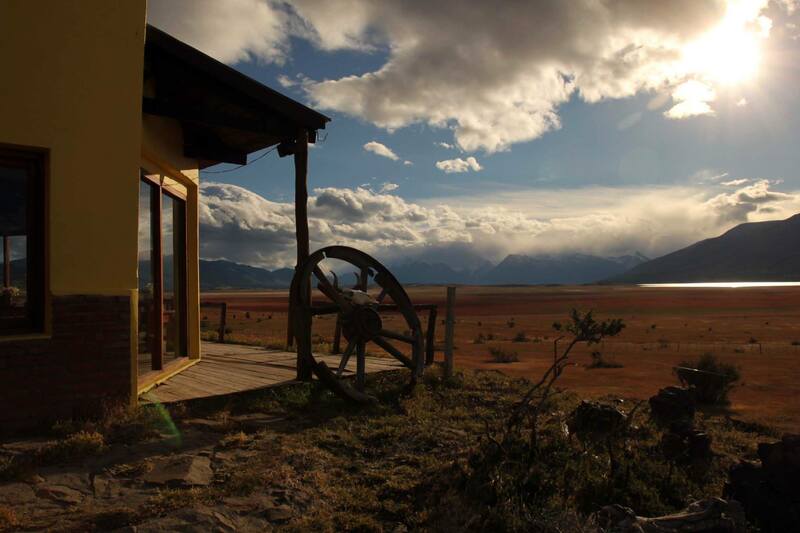 Alighted on an area of risen ground and overlooking the Lago Argentino, Río Mitre provides breathtaking views all around. So close but yet so far from modern technology, this is the place to visit to get away and make yourself unreachable for a while: no WiFi, no 3G, no mobile signal. You will surely relax visiting this far off land, spending the day or stopping by for tea on the way back from the Perito Moreno. 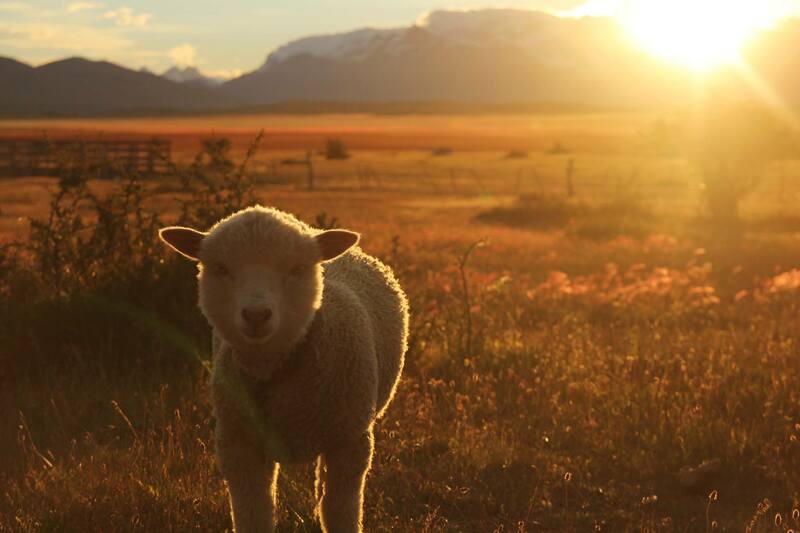 Animals run free here…guanacos, dogs, chickens, sheep, lambs and horses. Even a grey fox visits from time to time; you may be lucky and meet him. All of them are very friendly and are used to pose for pictures with the visitors. Take as many selfies as you like with all of them! 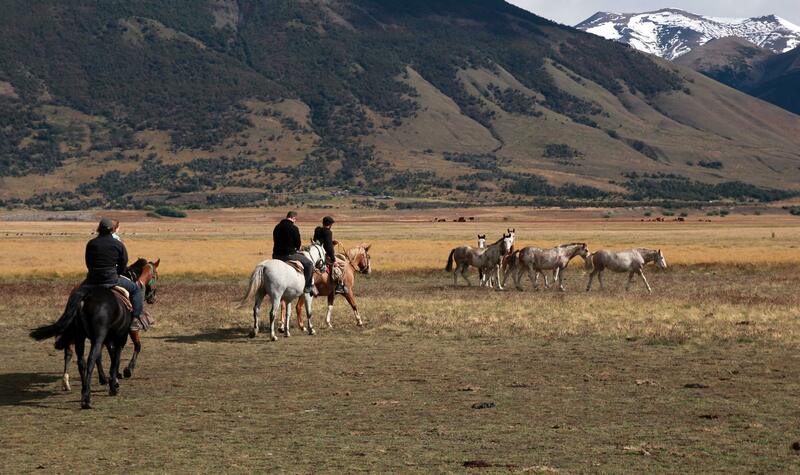 Besides animals and landscapes, the main attraction in Río Mitre is the horseback riding experience. 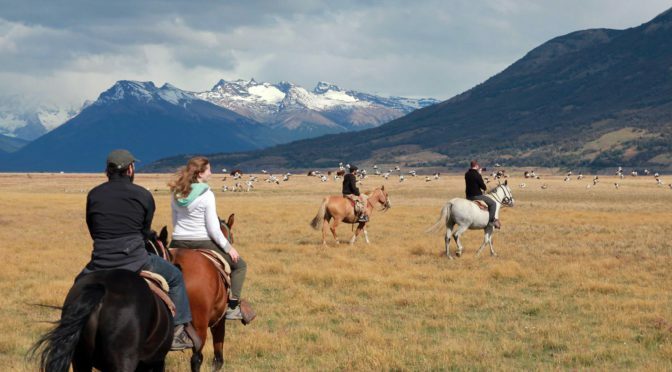 The estancia offers different options, even longer rides for 10 days, but brief travellers may spend half day in the morning or in the afternoon and ride too. In the morning, around 9 am, the estancia staff will pick you up from your hotel in Calafate and drive you for almost 60 km. Part of the road is on gravel, so the adventure begins before arriving. 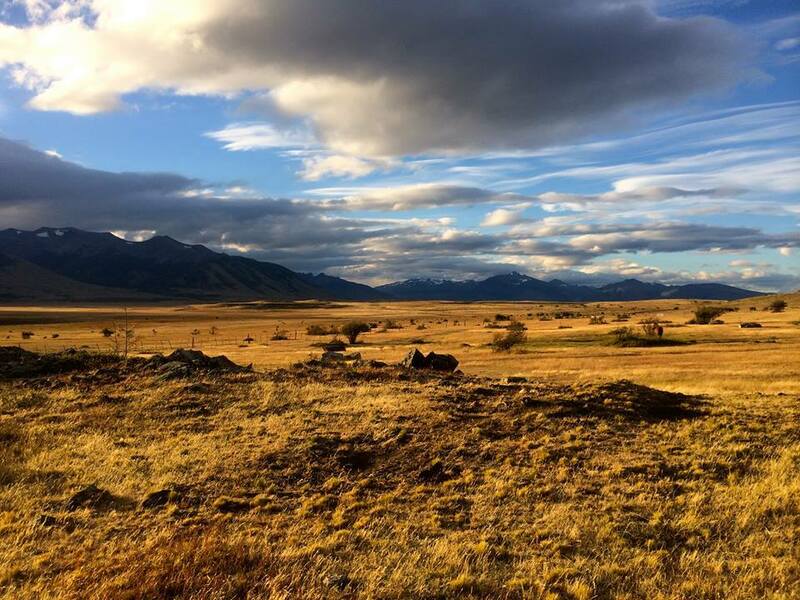 On the way, the Patagonian steppe at its peak will offer a unique scenery with a far away horizon and wide lands, passing by several ranches. This is also a good opportunity to observe diverse bird species in the wild. 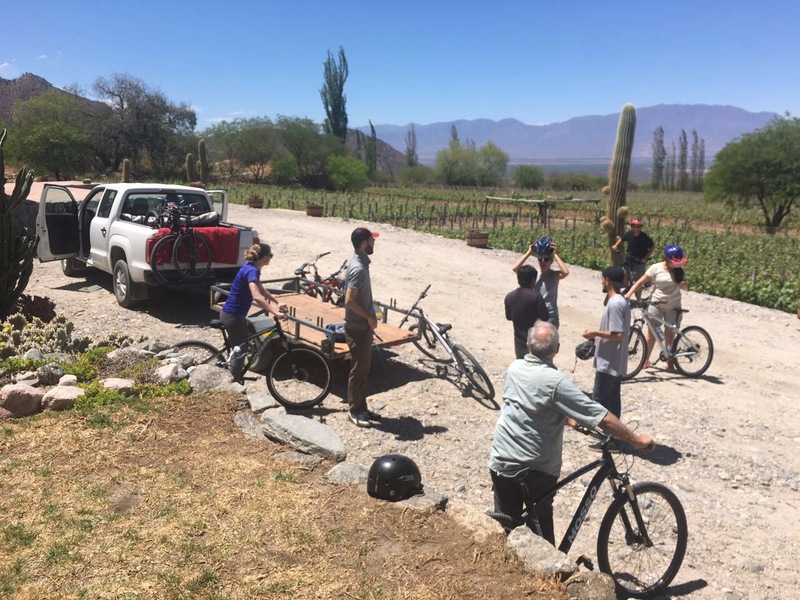 Once arriving to Río Mitre, a warm welcome by Esteban Echeverría -the estancia´s owner and a natural storyteller- and other attentive staff members that will invite you with coffee or the traditional mate and delicious tortas fritas (homemade fried pastries). After settling in, a guide that will join you during the whole horseback riding will take you to the stable to meet your horse for the ride. Once everyone is comfortable with the assigned steeds, the journey will begin. 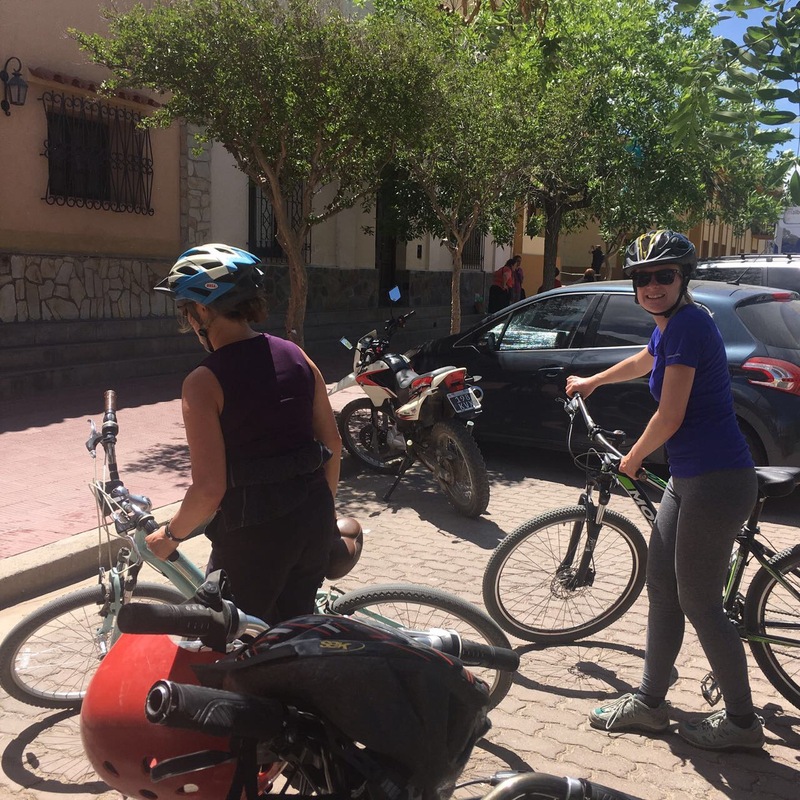 Always surrounded by dreamy landscapes, the ride will take you crossing the valley and, for starters, to the first settlement of the Echeverría family at early twentieth century. Then, a visit to an ancient indigenous camp. The way back to the stable will be by the shore of the Rico arm of Lago Argentino, watching and learning about flora and fauna along the whole valley. The significant beauty of nature and the feeling of freedom riding through these vast lands is overwhelming and hard to explain; it´s only possible to describe through the experience itself. This is a place to fall for unforgettable sunsets and long summer days in close contact with nature, feeling at ease and free. Certainly the ride will make you hungry, but not to worry! Lunch will be waiting for you: taste a delicious Patagonian country asado and share a table full with conversation and stories. Once you’re finished, at around 2 pm we will get back to El Calafate town. After an exhilarating morning outdoors and a fulfilling meal, the drive probably will make you fall in and out of sleep, blending the Patagonian steppe outside and the memories of a fun and unique experience at almost the end of the world. 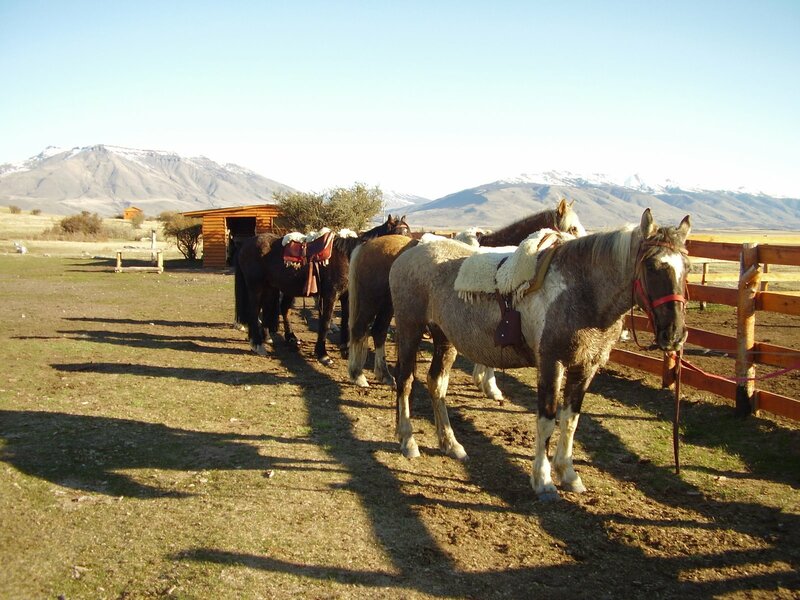 For more information about this horseback riding experience and other options at Estancia Río Mitre, please contact your Kallpa Tour executive. This excursion may be shared with other guests. Includes transfers, infusions with fried pastries, 2 hs horseback riding with guide, barbecue with salads for lunch. Rides available in the afternoon also, different itinerary.